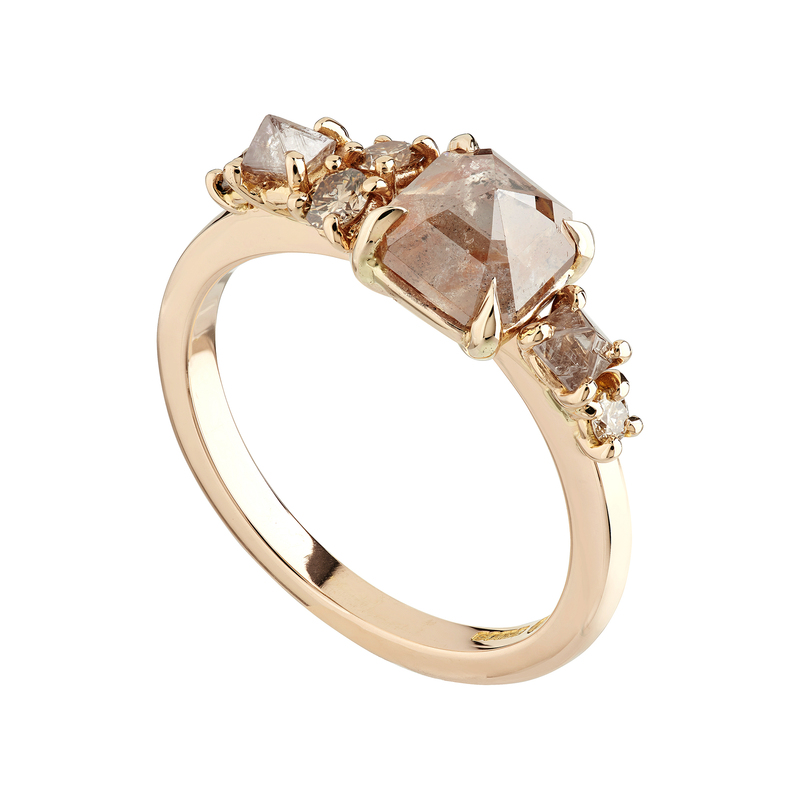 A beautiful new addition to the Rose-cut diamond collection! 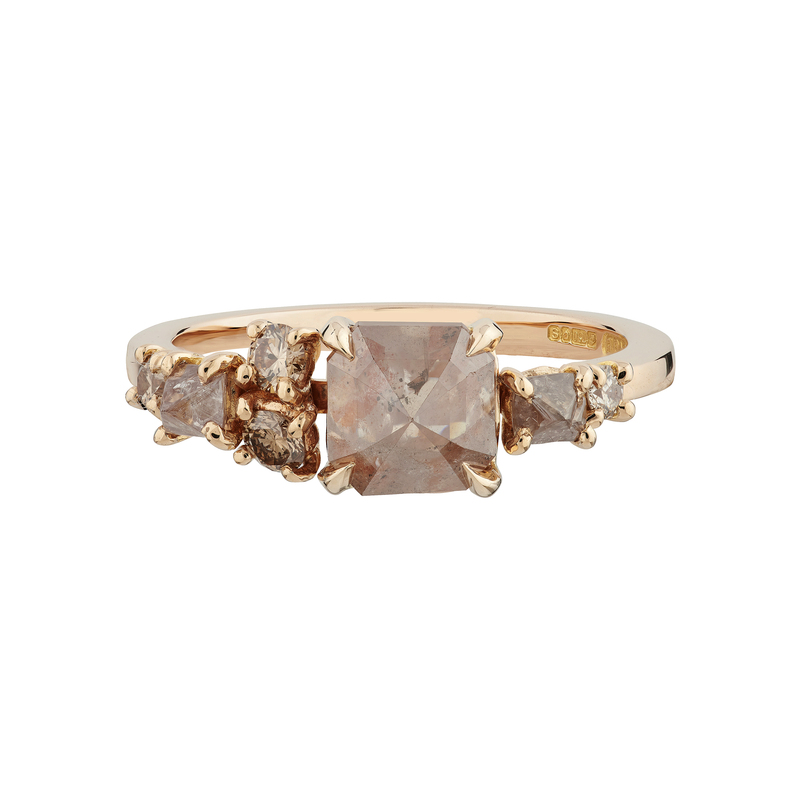 Set in 18ct rose gold the central cushion-shaped diamond weighs 1.50ct and is flanked by two claw-set rough, champagne diamonds weighing 0.16cts and four brilliant-cut champagne diamonds weighing 0.15cts. 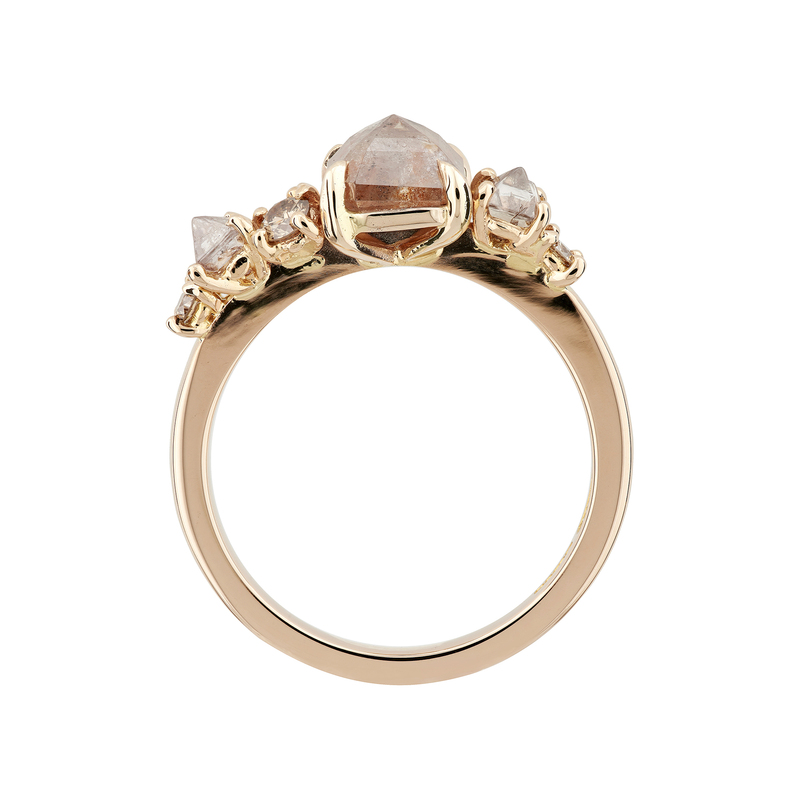 This is a unique, handmade ring so grab it whilst you can. The finger size is an M.